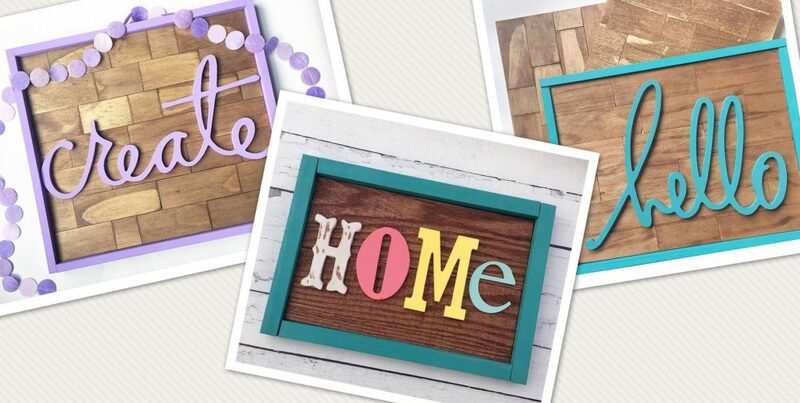 I use a lot of craft tools and supplies on the daily to create handmade signs (and just craft in general). Here are just a few of my favs! This post contains affiliate links which will not cost you any more money but I will make a very tiny commission. This in turn helps me put money back into my business and blog. I love these scissors so much! The handles fit perfectly in my hand and it has a cushion grip. It’s very springy which makes the blades open nicely and for my hand to strain all! It gets in tight spaces and makes detailed cuts nicely. I love using these shears on my fabric and felt. Using this particular vinyl is new for me, but it’s working out so well. I used to use Oracal 631 for my stencils with my signs, but I didn’t like the way it was pulling up paint from my signs! So frustrating! I also like the way the 813 is translucent, which helps with placing your stencil in the correct spot. Lastly, wedding with this particular vinyl is a dream! So easy. I own this exact Cricut and I mainly use it for stencil cutting, even though the possibilities are endless with a Cricut! Don’t believe me, go check out Pinterest- you’ll be floored! Let me know if there are any crafting tools you can’t live without! I had to opportunity to visit AR Workshop with some friends from the Des Moines Moms Blog and I loved my experience! Thank you to AR Workshop for fully hosting this event. When you first walk in you will see their retail section. They sell different signs and home decor pieces. All their items are gorgeous! They offer different classes, camps and public/private events throughout the week which is on display. I love all the details of the shop! From the Paint Bar to aprons hanging on hammers and the drink bar they had all set up! There were enough tables and table space to accommodate our large group. We all had plenty of space to work and didn’t feel like we were crowded. and/or paint and helping us assemble our projects. No matter what your skill level is at crafting, painting, staining or even using power tools- anyone can do this! It’s so easy and the staff makes it so fun! For my project I chose to make a lazy susan. I used power tools to attach the hardware to make this bad boy spin! After choosing my stain and paint colors I got to work sanding and staining my board. I weeded out my vinyl stencil, transferred, painted and attached the hardware. It came out so cute! Laura and her staff at AR Workshop were helpful and helped us along every single step of the way. There were some ladies who have never done anything like this before and they all got the hang of it and their projects turned out so beautiful. My oldest son had THE BEST second grade teacher this past school year. I was blown away how- dare I say perfect?- she was as a teacher. I never missed an opportunity to spoil her with holiday and teacher appreciation gifts. She also had a class “wish list” of classroom items she needed and I loved gifting those to her throughout the year as well. Look how bright and fun this looks! It just screams happiness when you look at it. How do you thank your kids’ teachers throughout the year? They have such a hard job and are amazing! 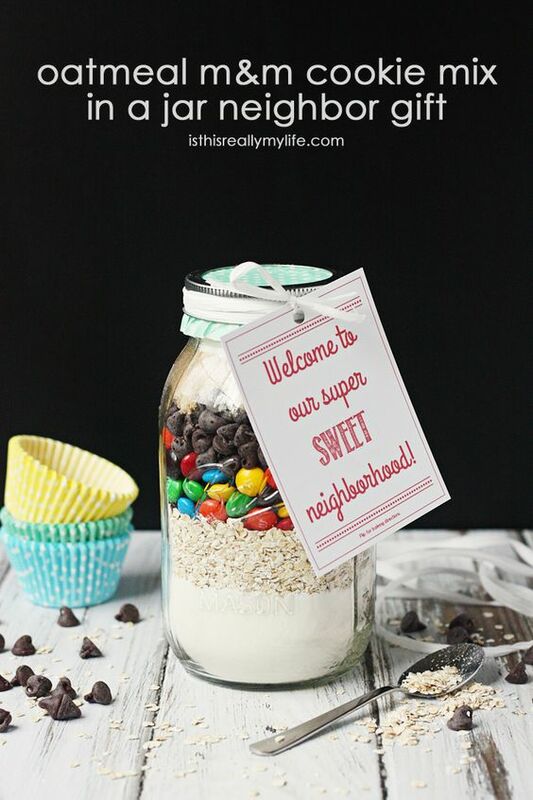 I wanted to make our new neighbors feel welcome so I found this super cute printable you can find here. I decided to gift one of my favorite Mrs Meyers cleaning products/scents (lavender! ), a dish towel and also a blueberry coffee cake. I wanted to bring something over for them to eat as they move in, but I wasn’t sure if they would be too keen on something homemade from someone they just met. So I opted for store bought instead. Still great! We packed it all up and brought it over to meet them! 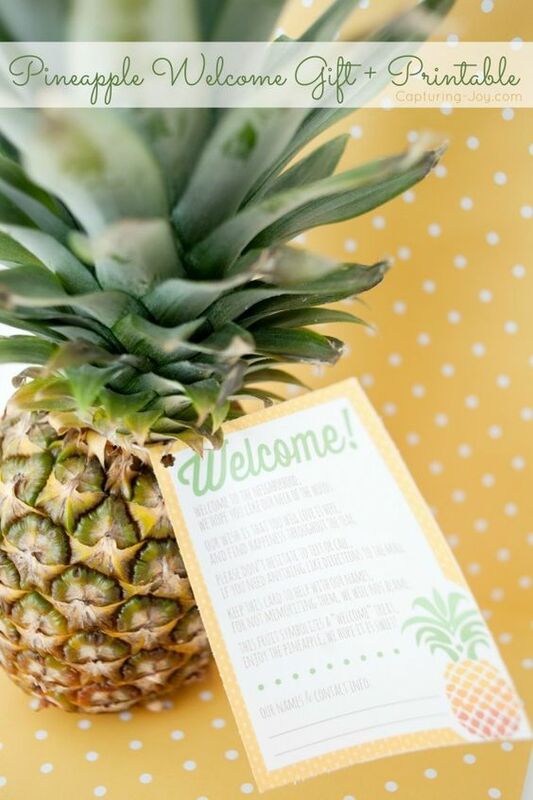 I have rounded up a few of my favorite free printable posts. Enjoy! Please click on the links to go back to the original posts. We hosted our annual End of the School Year/ Welcome Summer party on the last day of school this year and it was a blast! The kids always look forward to it and were so worn out from all the fun (which is a plus, right!?). We kicked off the party with the kids running through a Welcome Summer banner. We recorded it in slow motion and it was so funny to replay it back when we watched it! I think the snacks were the kids favorite part! I did forget to photograph all the snacks (bummer!)! I also created a photo backdrop for the kiddos to take silly pics. It was a hit! I just love the bright and summery colors! The adults mingled and the kids spent the majority of the time swimming, throwing water ballons, zip lining, playing badminton and on the playset. It was such a fun time! I’m looking forward to next year! Tell me if you have any fun traditions for the last day of school! I wanted to make a mini bucket list of things to do if you were to ever visit. Let me just say first off, if you are going to Waco just to see the Magnolia Silos, it won’t even take a full day. Maybe a few hours? So do yourself a favor and plan out your trip so you can do more things than just visit -the fabulous!- Magnolia Silos. My husband and I decided we wanted to make this duo trip into a road trip (yes, we might be crazy) so we got up at 4:45am the morning of and started to make our way down to Texas. Iowa, Missouri, Kansas, Oklahoma, Texas to be exact. We did the whole trip in one day! When we arrived Thursday evening we checked into our retreat and relaxed all evening. We stayed at the Gathering Oaks Retreat and if you are ever in Waco, I highly suggest staying here! It’s not a hotel or bed and breakfast, but a retreat. No one is on site, there are no vending machines, restaurants, staff, etc. Think of it as staying in a teeny, tiny house (that looks like Joanna herself decorated) and you supply your own groceries and items. There is a lock pad with a code to get past the gate onto the property and also another pad with a code to get into your space (everything we needed to know for our stay was emailed to us before we arrived). There is a small pool on the property, fire pit to roast marshmallows, outdoor games to play and places just to sit and relax. It was a perfect Texas spring night and we walked around under the glowing lights on the property. It was so peaceful! To make it more interesting, we were LITERALLY right across the road from Chip and Jo’s house! I could see cars coming and going from their driveway and the lights on. I felt like we were weekend neighbors. 😉 I highly recommend this charming place! I knew I wanted to eat at the Magnolia Table on the Friday morning we were there and I knew the line would be absolutely nuts. I heard from a fellow Instagram friend that her and her friends got there around 7:45am for breakfast and the wait time was hours long!! I thought since we would get up very early and it was also raining this particular Friday morning, surely there wouldn’t be a line, right? Wrong. Magnolia Table opens at 6:00am and we got there around 5:45am. There was a line! Not too bad though, because we were seated pretty quickly. The restaurant is gorgeous (even the bathrooms), the atmosphere was relaxing and the food was not only delicious, but inexpensive I thought. The staff was friendly and they all had smiles (considering how early it was!). I urge you to try the strawberry butter there! So yummy! Other places we also ate while visiting were George’s, Vitek’s, the food trucks at Magnolia and the popular Moroso’s Wood Fired Pizzeria. Moroso’s is Italian cuisine at it’s best! I was told he imports his tomatoes and flours from Italy! It was so yummy! We visited the Waco Hippodrome which is a stunning historic building in downtown Waco. We didn’t eat there, but I have heard awesome things about their brunch and dining experience. Ok, do I even need to mention the amazingness that was shopping at Magnolia??! They styled everything so pretty and it took every ounce of me not to buy the whole stinkin’ store. -The Findery- So much wonderful, vintage home decor pieces! I was very impressed! They also have their Marketplace next door to them so don’t forget to check that out as well! -Spice Village– Such an adorable place made up with different booths and vendors. –Harp Design Co– Lots of quality, handmade pieces made by them! Loved this little shop! Besides experiencing all that is Magnolia and the property, we also ventured to other places like the Waco suspension bridge, walking around downtown Waco and we drove past Jo’s very first Magnolia store: Her little shop on Bosque. It was so inspiring to see how far she has come from that tiny store to now! We also toured the Dr Pepper Museum. Which I surprisingly thought was kind of interesting! We had someone in line ahead of us pay it forward so our admission was free! Taking it all in at Magnolia! So there you have it! My super mini break down of our time spent in Waco. Hope this helps you when planning your future trip! *Please read my part two on Waco about my thoughts on the #SiloDistrictMarathon! I decided in order to keep this play date/party on the inexpensive side, I was going to shop at the Dollar Tree, Target “Dollar Spot”, etc. We purchased some of our doilies, table cloths, plates, napkins, eating utensils and so forth from Dollar Tree. Most of the decor was from Target Bullseye’s Playground and I ended up picking up a few odds and ends from Wal-Mart. The food, however, was from our local grocery store Hy-Vee. I had planned for these adorable tea sandwiches in the shape of teapots (via cookie cutters), but I didn’t have enough bread the day of the party! Oops! It turned out to be ok because the kiddos snacked on vanilla + strawberry wafers, cheese cubes, strawberries, spring themed cupcakes and cookies. Instead of tea I served lemonade- which the kids still thought was awesome! After all our guests arrived we worked on our craft. We made “fancy” tea party hats for the occasion! I had prepped the hats the night before our friends came and it was super easy. First, I laid the plastic bowl on top of the plate and traced around it a little larger than the bowl actually is. I then cut out that section of the plate and hot glued the plate and bowl together. Easy peasy! The girls (and all the little brothers!) had so much fun making these. After our craft the kids enjoyed the lemonade and food. I loved hearing everyone’s giggles! Once tea time was over the kids ran around played until it was time to leave. It was such a fun play date to host! Let me know if you have ever hosted a tea party play date/birthday/occasion and what you served at yours!